Live Flamenco guitar music both arranged and improvised. Additional performers such as dancers and a singer can be arranged. Depending on your financial and artistic needs, Gareth can adapt his program. 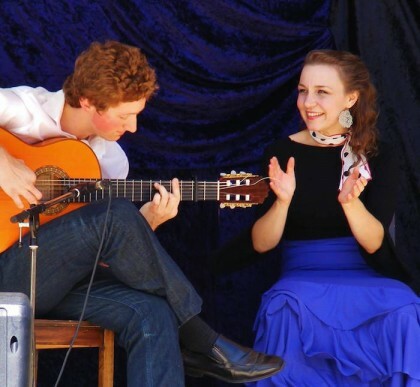 Gareth’s performances are suitable for music and cultural festivals, theater concerts, Spanish theme days, weddings, parties and business functions. Gareth has experience in all these settings.